01 Jr. High Madrasahs have been upgraded to High Madrasahs. 21 High Madrasahs have been upgraded to Higher Secondary Madrasahs. 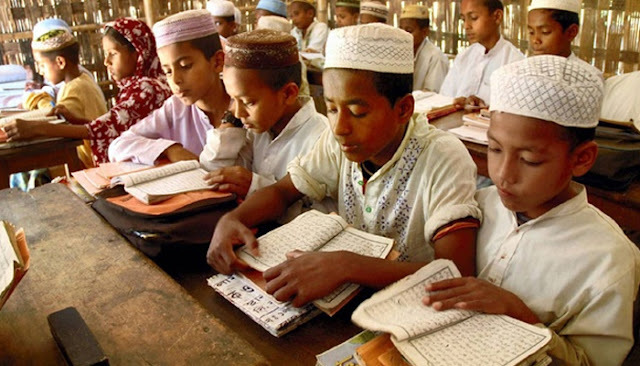 Out of 400 sanctioned Madrasah Shiksha Kendras, 356 Jr. High Madrasahs have been accorded approval for conversion into Madrasah Shiksha Kendras and rests 44 are under pipeline. Honorarium of 4535 approved Mukhya Shiksha Samprasarak/Sarika, Shiksha Samprasarak/Sarika, Shiksha Sahayak/ika accorded 356 Madrasah Shiksha Kendras in the districts are being released from this Directorate. Out of 300 Madhyamik Shiksha Kendras and 200 Sishu Shiksha Kendras, only 100 MSKs including Sr. type and 39 SSKs have been accorded approval but approval for teaching and non-teaching staff are awaiting for final decision of the Government and rests are under pipe line. Maximum no. of students i.e. 65,000 students have been participated in the Game & Sports of Madrasah-2012 through out the State. Recognition of unaided Madrasah, about 272 application were received and near about 164 application have been sent to different district for inspection. In addition to State Plan Budget about Rs. 295 crores utilised as salary etc. to the teaching and non-teaching staff of the recognised aided non-Govt. Madrasah.